Sometimes the heat from your fire won’t be enough, or it might be too much. 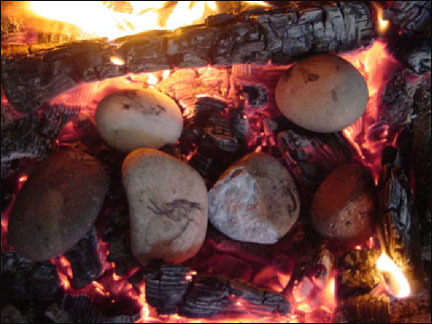 Whether you have a low amount of fuel, or you are trying to dry your clothes and not burn them, a great option for long lasting slowly released heat is to heat rocks in your fire. The rocks can then be placed in your shelter or sleeping bag at night to provide heat while you sleep, or in your wet clothes or boots to help dry them. Here are some tips on how to do it. Most important is rock selection. You do not want to select smooth rocks from low lying areas or stream beds. These rocks could have water trapped inside that will expand when heated, causing the rock to explode which will send sharp pieces of rock flying in all directions. It is also important to select the appropriate size, a rock that is too small will lose heat too quickly and a rock that is too large will not be safe to move after heating. Heat the rocks for at least an hour. If they are not in the fire, rotate them so that all sides receive direct heat. It will be difficult to move the rocks after they are heated. Do not burn a hole in your clothing, or in your hand, trying to use two sticks. 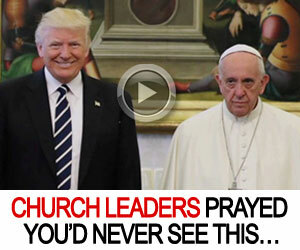 This will never work very well. Instead, partially split a stick of appropriate size so that you can put a smaller stick perpendicular in the split and then try cordage tightly above it. This will produce tongs that have tension, this will make handling the hot stones much easier. Don’t place them directly on anything essential like a sleeping bag or clothing without wrapping them in something like a bandana to prevent burning a hole in something that you need to stay alive. Heated rocks about twice the size of your fist can give off a lot of heat, and the heat will last for hours. This can make a big difference on a cold night in the wilderness, especially if your gear is inadequate.